I give you the perfect dinner party show off dish! 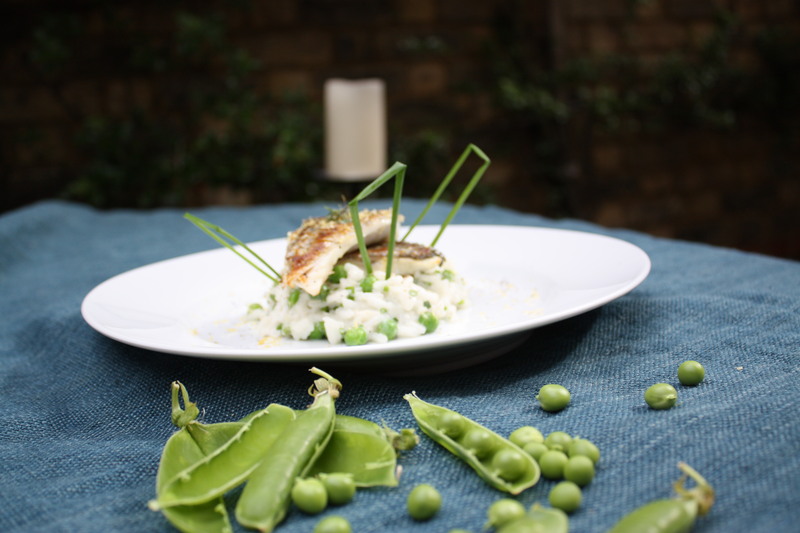 I would also like to introduce Bella Thomas-Ferrand who has kindly donated this recipe. Bella is one of London’s hidden gems. Not yet 30 (not even close to 30 actually); Bella owns her own catering company called Simpkin and Roses, having trained in the hallowed halls of Leith’s School of Professional Cookery. Bella’s cooking is just gorgeous, having her as a friend is fantastic, yet slightly terrifying at the same time, as I know (well I hope) I get to try lots of her cooking, but, when she comes over for dinner, I literally raid every cookery grey-cell in my teeny tiny brain! 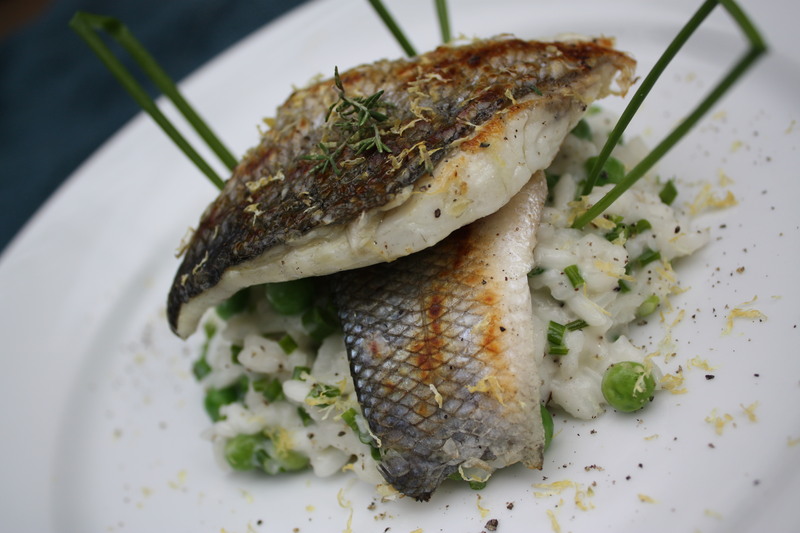 Serve on warmed plates, a couple of spoonfuls of risotto and the sea bass on top with some pea shoots to decorate or more chives. The Most Unhealthy Salad in the World! I’m about to give this recipe a go but 1.5kg of peas seems like a lot!! Is this right?